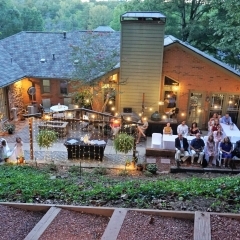 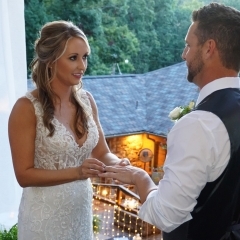 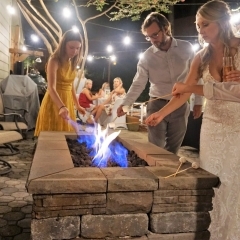 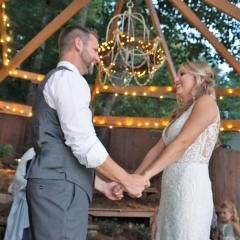 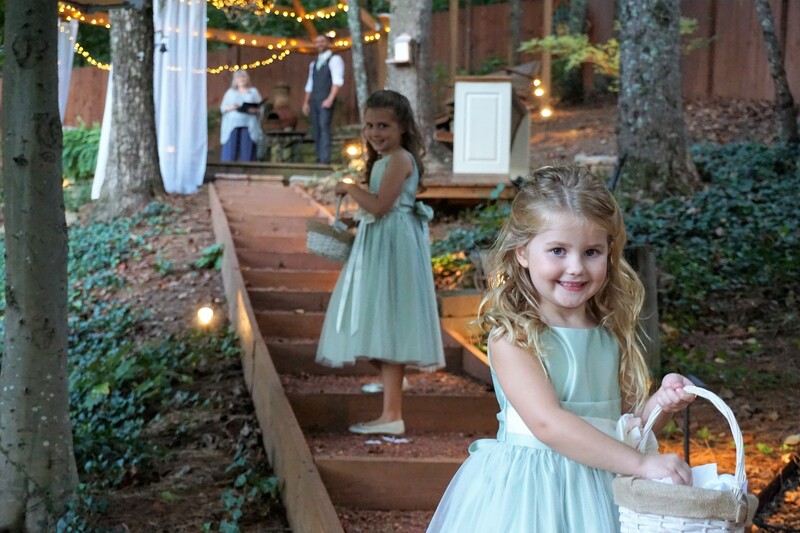 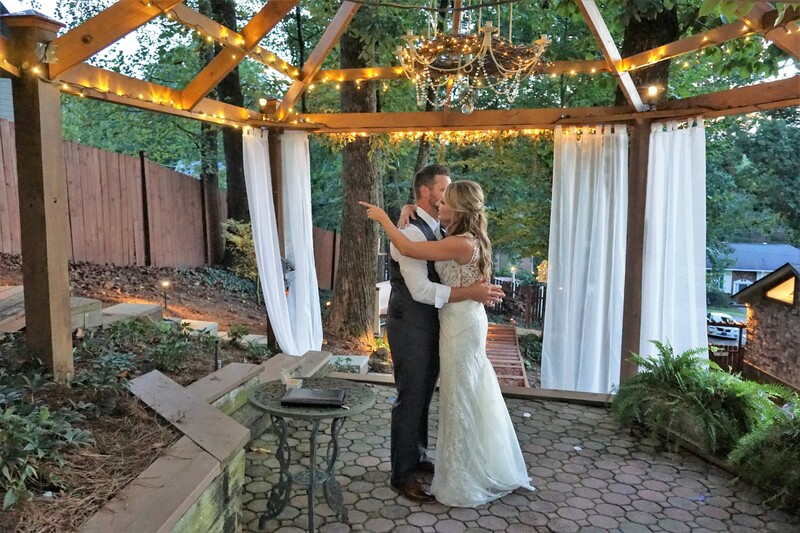 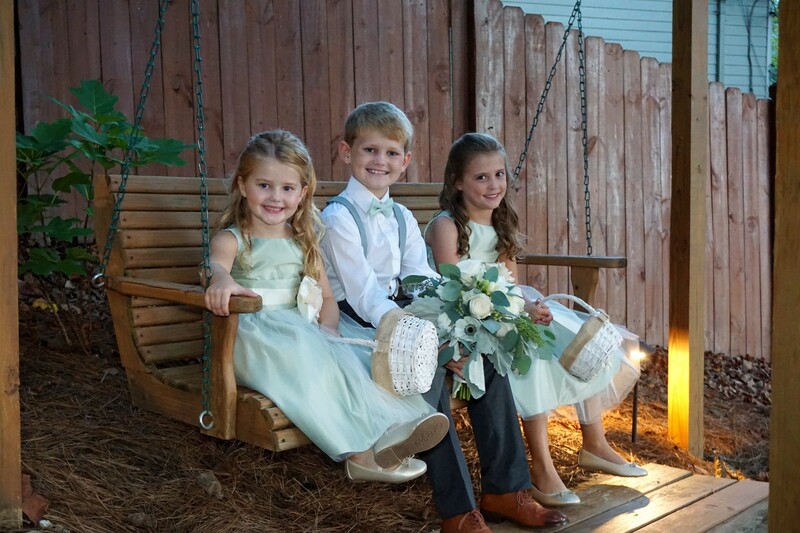 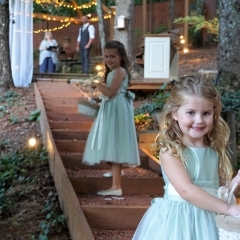 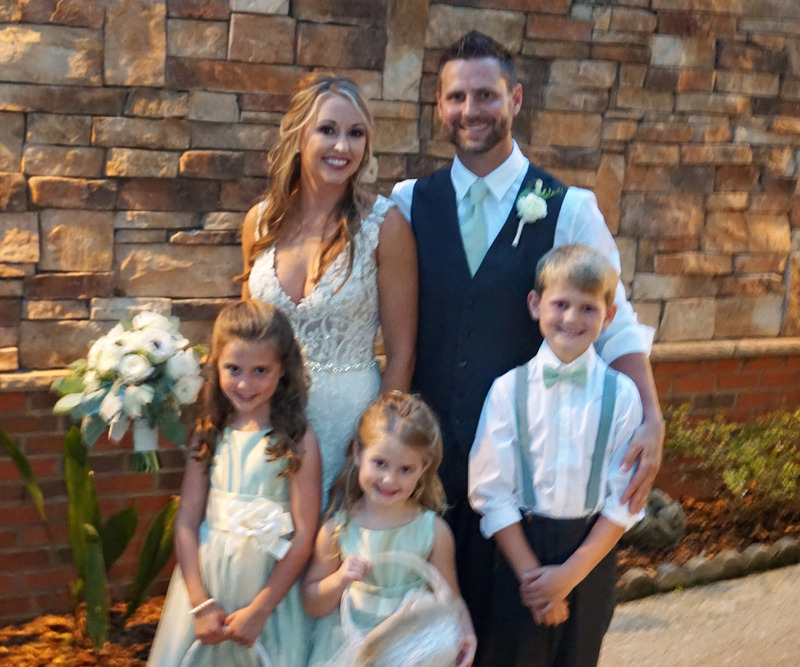 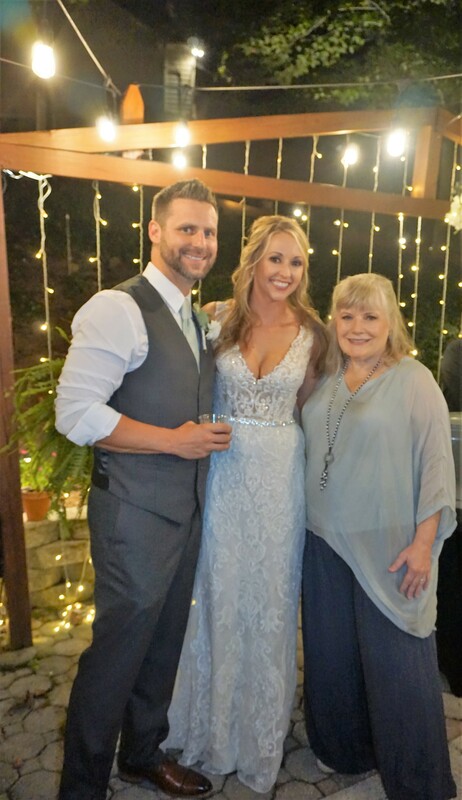 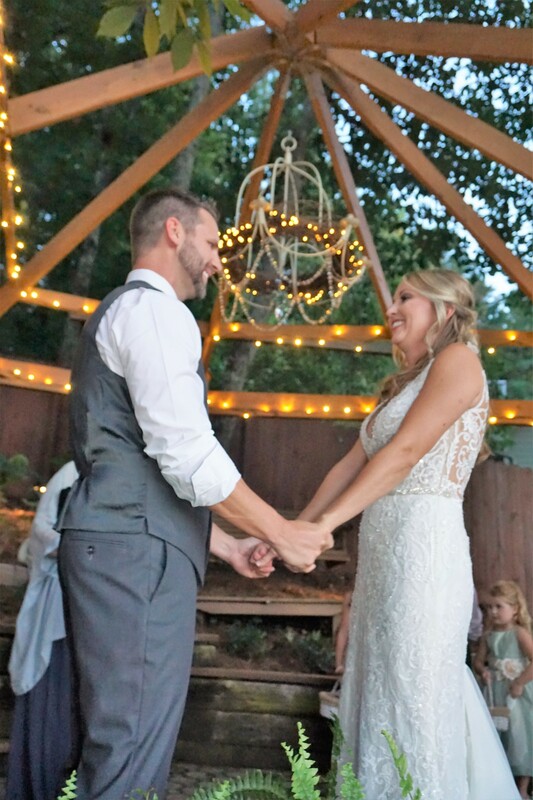 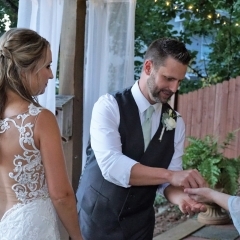 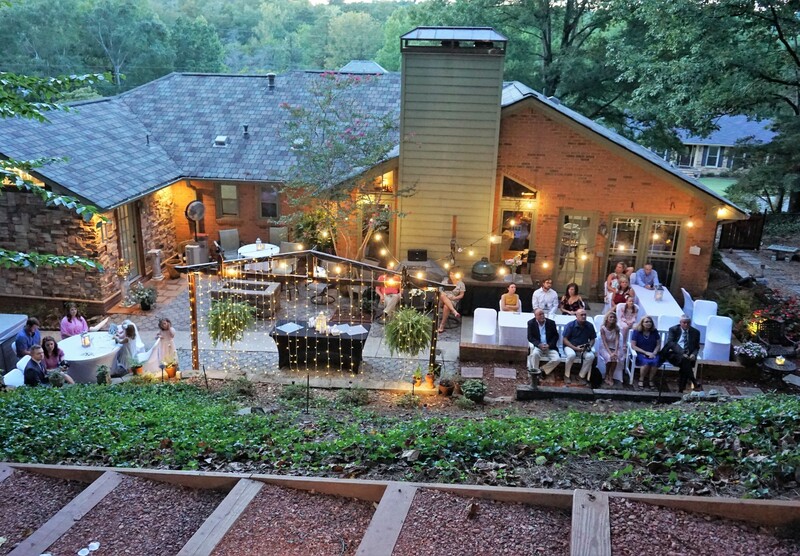 On the evening of September 1, 2018, Lauren Conner and to-be husband Brad had the intimate family wedding of their dreams at The Petite Wedding Venue in Birmingham, AL. 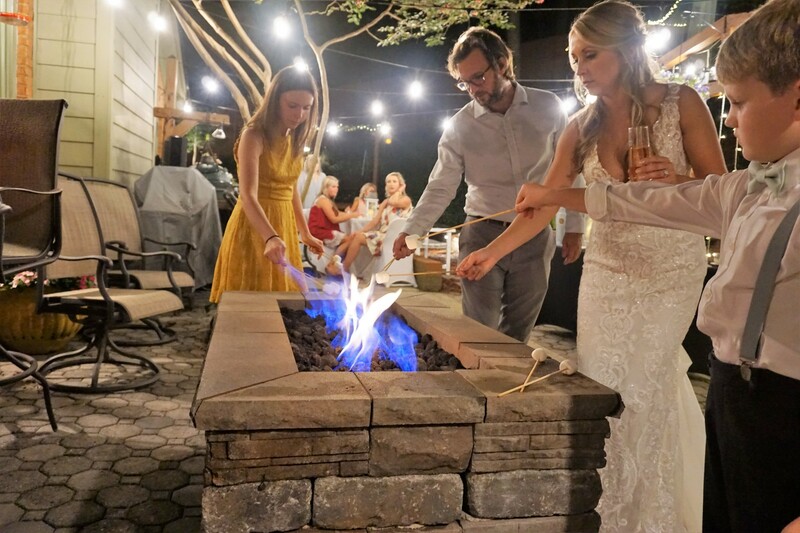 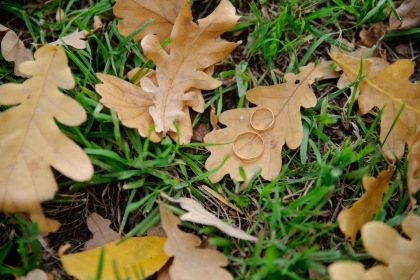 Event planning company, Dreamgate Events, assisted the bride with planning her wedding to ensure every detail was as beautiful as she could ever imagine. 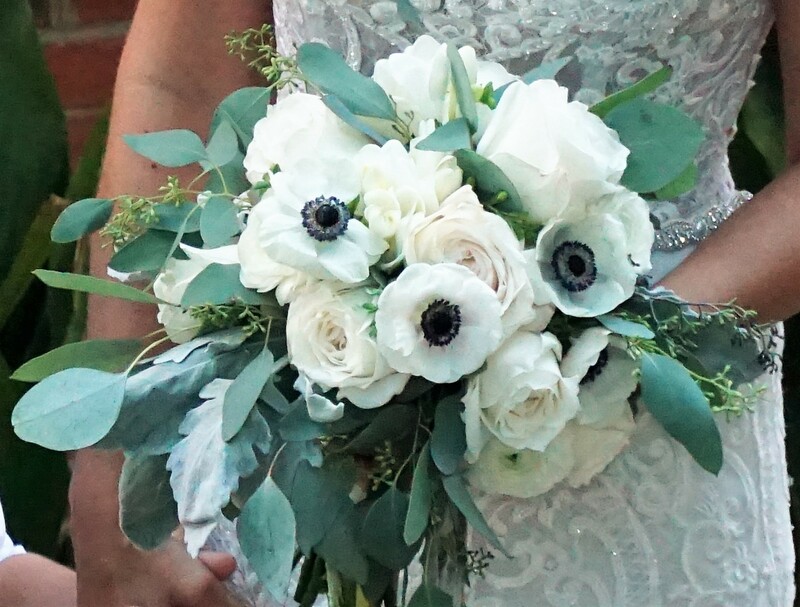 Family member, Brittany Russell, also assisted the bride by creating a beautiful bouquet from flowers from Davis Wholesale. 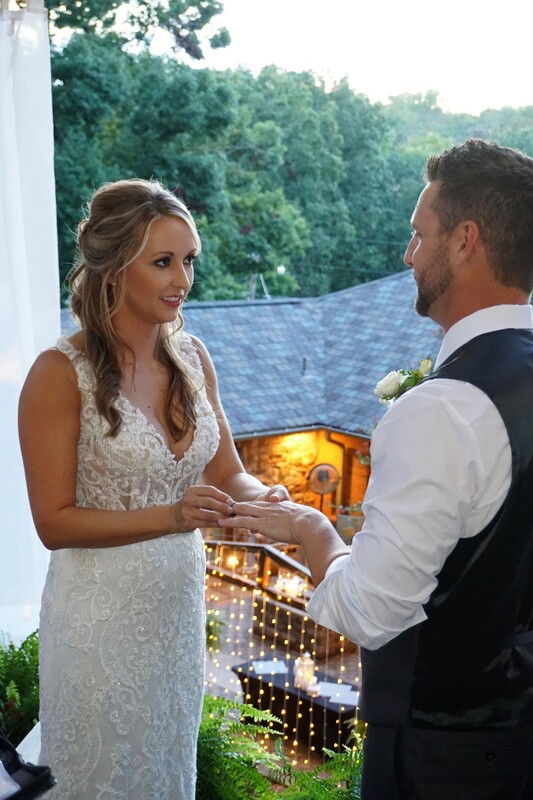 Lauren looked stunning in her elegant, lace dress from David’s Bridal, as she walked down the pathway to I Get to Love You by Ruelle. 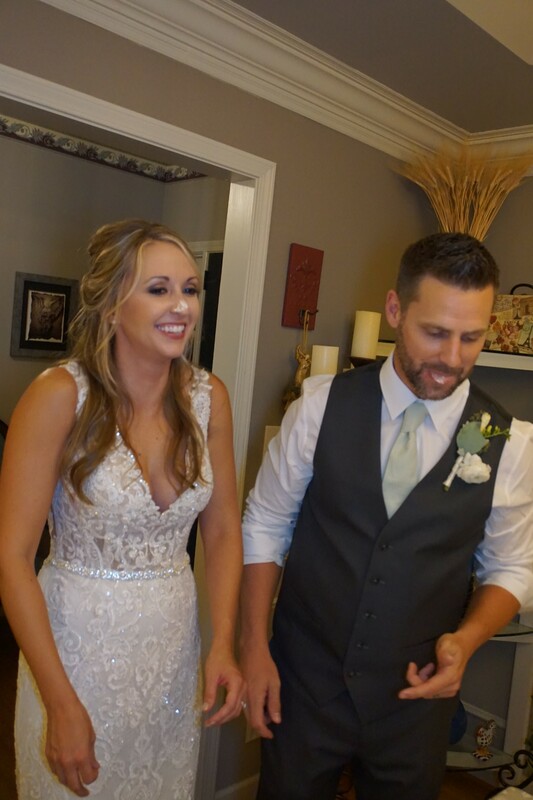 Brad and Lauren had their first dance as husband and wife to the song What’s Mine is Yours by Kane Brown. 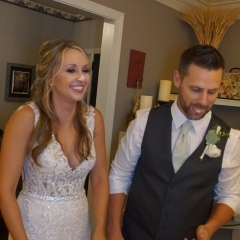 Chubbfathers in Alabaster catered the ceremony with roasted red pepper pork sliders, chicken tenders, fruit and a mashed potato bar. 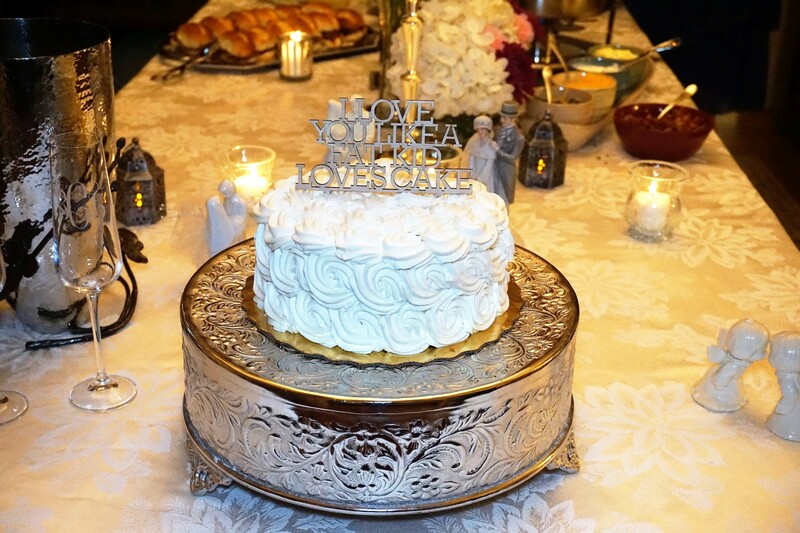 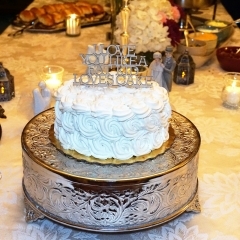 They also had a freshly baked cake from Publix’s Bakery, with a fun wedding topper that said “I love you like a fat kid loves cake!” “I Love You Like a Fat Kid Loves Cake” is a phrase Brad often quotes to his friends & family” Everyone had a good laugh over this cake topper. 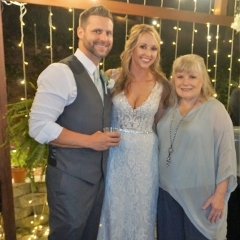 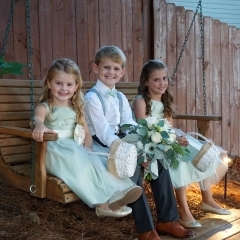 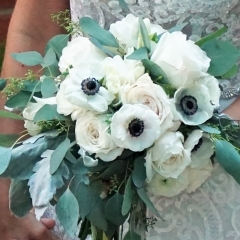 Donna Hearn, owner and officiant of The Petite Wedding Venue and Deb Navez, owner of Dreamgate Events, ensured that The Petite Wedding Venue was perfectly decorated with the sage green, grey and cream bridal colors. 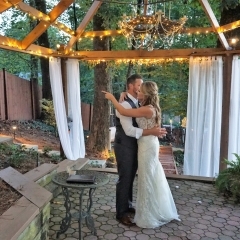 The greenery and ivy around the venue, and “just” the right amount of fairy lights on the gazebo brought the decor together. 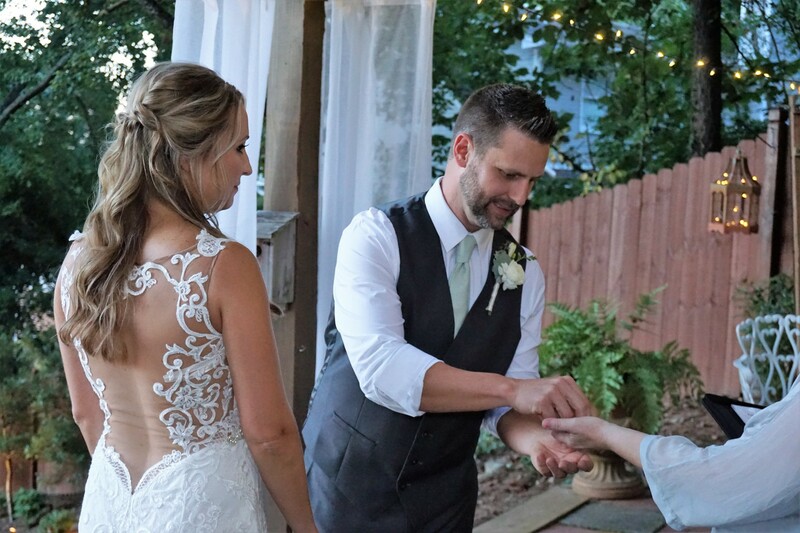 Mike Hearn and Jennifer Allums tag-teamed the wedding to make sure every precious second was captured in photos.